February is the perfect time to escape winter, decompress after the holidays, and start the New Year off with a commitment to health & harmony. 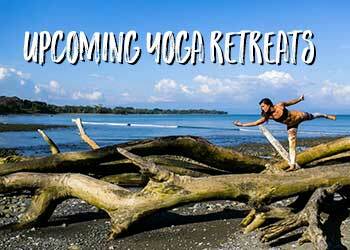 Nourish your mind, body and soul on this unforgettable journey to Blue Osa Yoga Retreat & Spa (www.blueosa.com). We will offer two yoga classes a day (morning and late afternoon). You can expect the morning class to be a more active vinyasa style class with alignment focused work and the afternoon class to be a more gentle, restorative & yin style class. Meditation and pranayama work will be infused into both practices daily. The yoga classes offered will be appropriate for all levels of students, so whether you are a beginner or advanced student, we will work with you at your level to provide a week of challenge and growth. 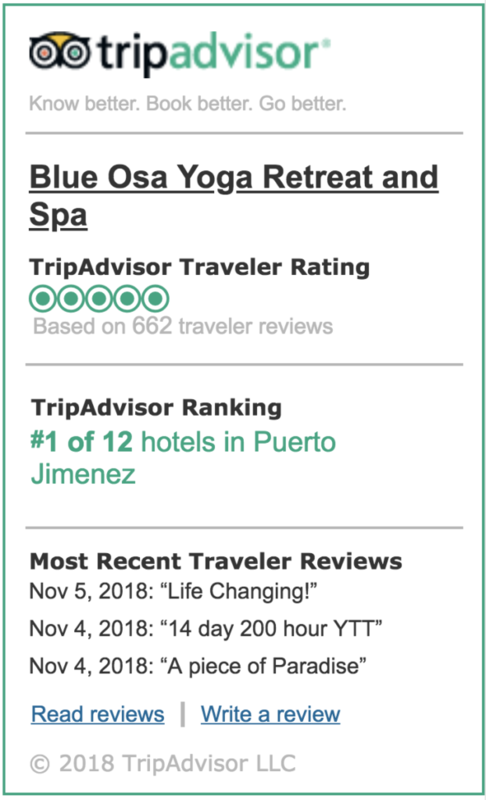 During the day, you will have the freedom to spend your time as you choose….treating yourself to a massage, napping, reading, sun bathing or going on an adventure (hiking, surfing, zip lining, waterfall rappelling, chocolate tours and more).